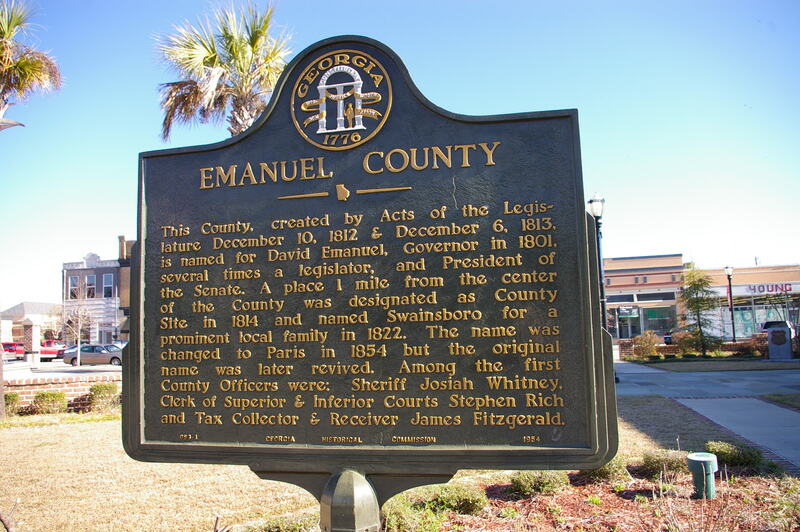 Emanuel County is named for David Emanuel, who was the twenty-four governor of Georgia. 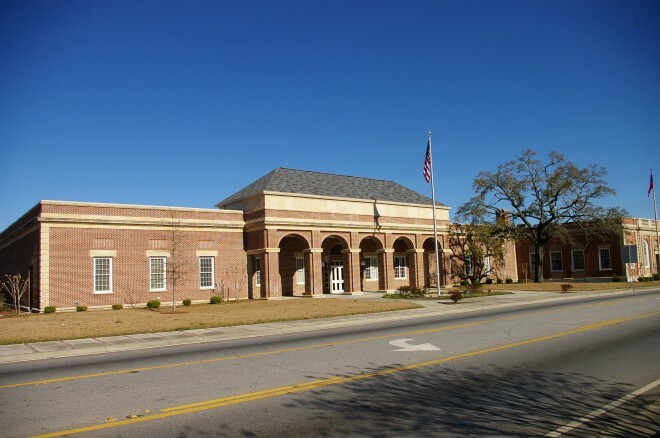 Architect: James W Buckley & Associates Inc. 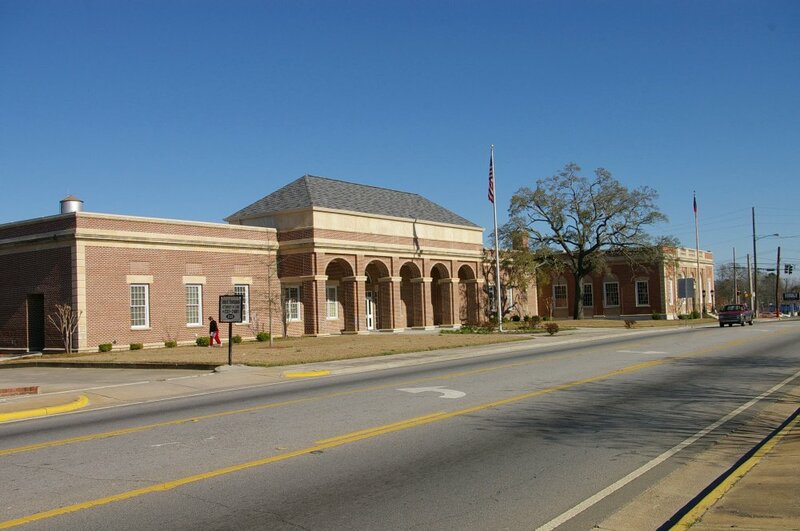 Description: The building faces southwest and is a one story light red colored brick and concrete structure. 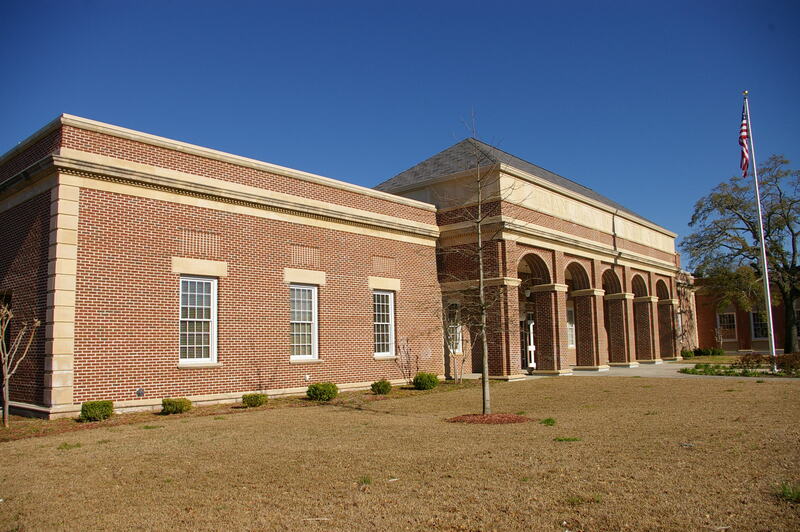 The building is located on landscaped grounds and has a high center section with five high arches. The south wing is the old United States post office constructed in 1936, and it extends to the street line. A horizontal projecting band runs below the roof line. 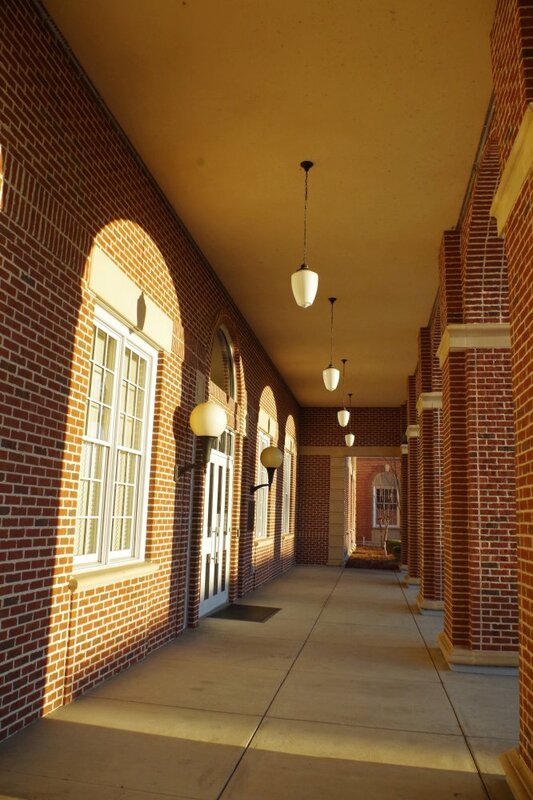 The roof line is flat with the exception of the roof over the portico which is hipped. 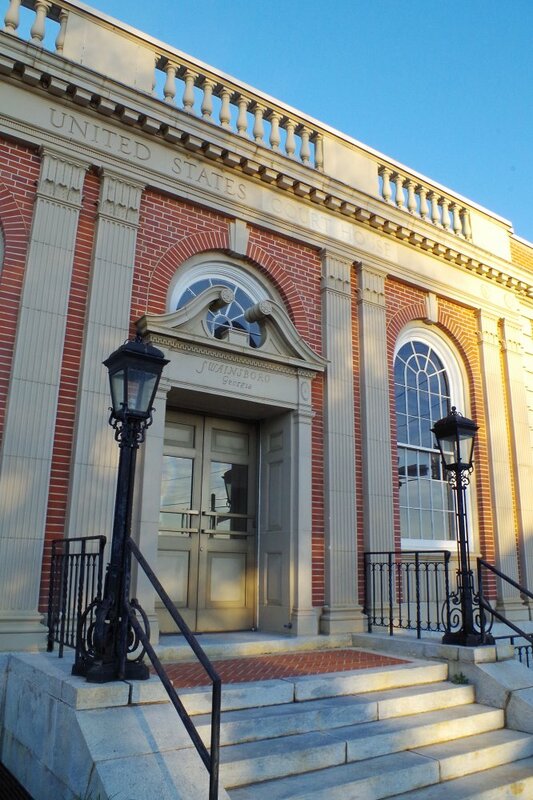 Note: The courthouse was originally built as a United States post office in 1936. 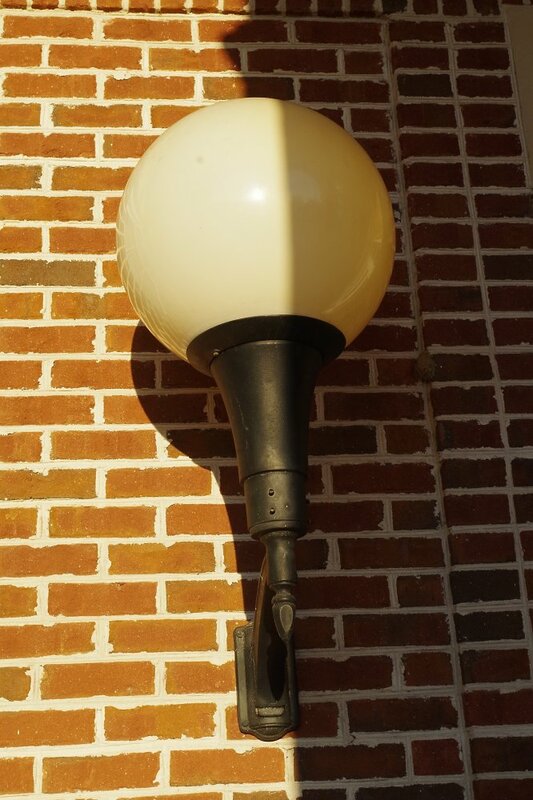 Later, it became a United States courthouse and served this function until a new United States courthouse was built. 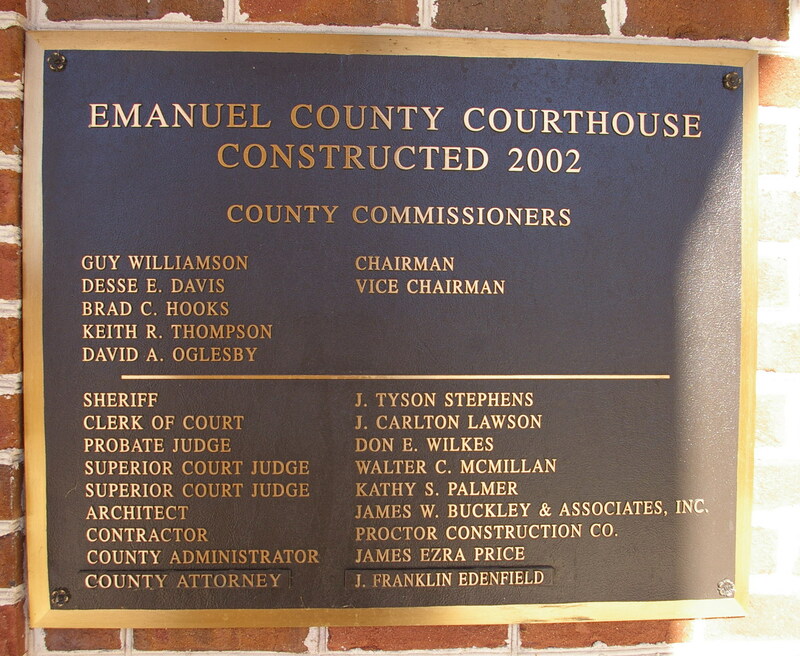 In the late 1990s, Emanuel County purchased the building and made it home of the Emanuel County Superior Court, making it the county’s sixth courthouse. In 2000, the county purchased land adjacent to the old United States courthouse and began construction of a new county courthouse that would incorporate the old United States courthouse. 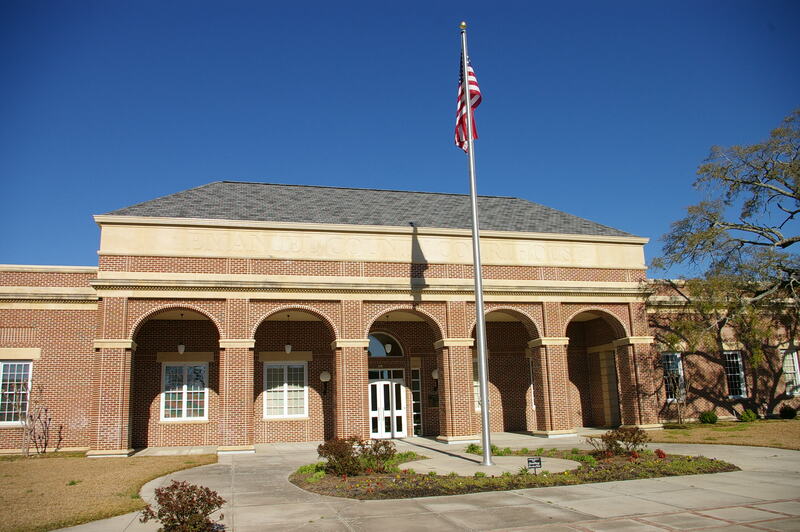 Construction of the new courthouse was completed in 2002. Note: In 1895 a courthouse was designed by J W Golucke which later burned in 1919. 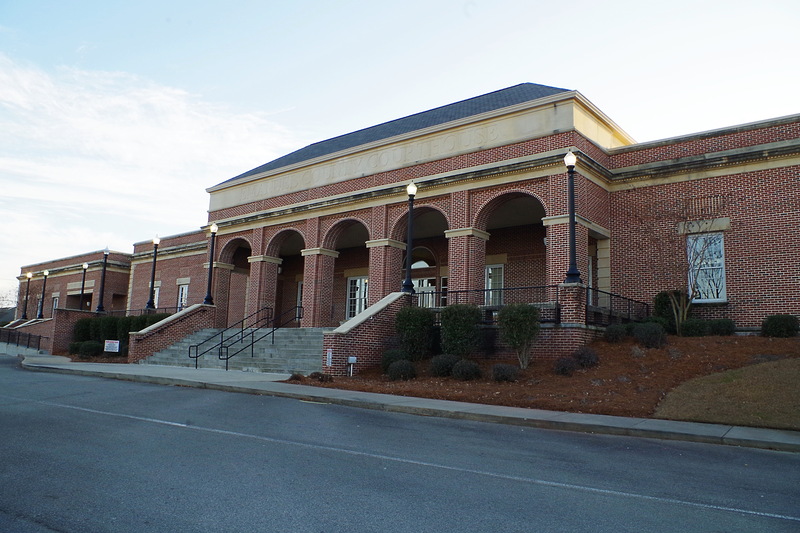 The next courthouse was designed by Goodrich & Clark and constructed by Holly Construction in 1920. 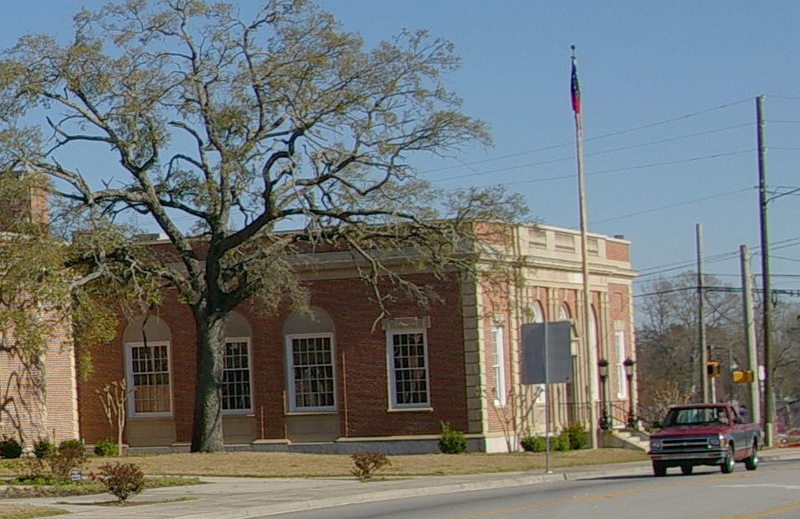 The previous courthouse was designed by Dennis & Dennis Inc. in 1940 and demolished in 2000. 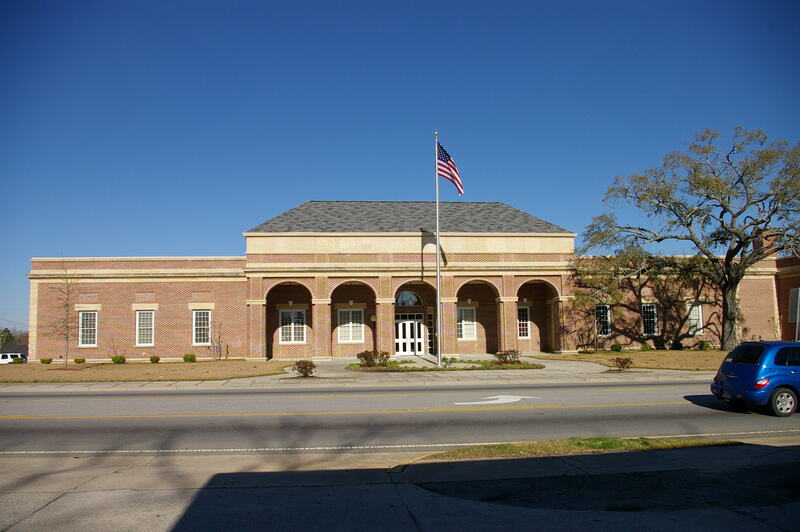 The new courthouses faces the park where the previous courthouse stood.